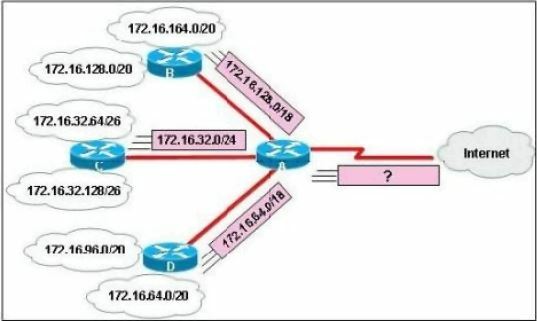 In this VLSM addressing scheme, what summary address would be sent from router A? Router A receives 3 subnets: 172.16.64.0/18, 172.16.32.0/24 and 172.16.128.0/18. All these 3 subnets have the same form of 172.16.x.x so our summarized subnet must be also in that form. Only answer A has these 2 conditions .